1. 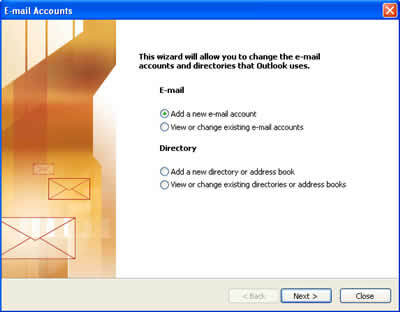 เปิดโปรแกรม "Microsoft Outlook" เลือกรายการ "Tools" | "E-mail Account" จากนั้นคลิกเลือกที่ "Add a new e-mail account" ดังรูป แล้วคลิกปุ่ม "Next"
3. 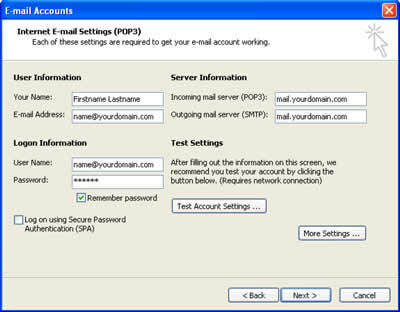 พิมพ์ข้อมูลลงในช่องที่กำหนดให้ เช่น "Your Name" "E-mail Address" " User Name" " Password" ?Incoming mail server? 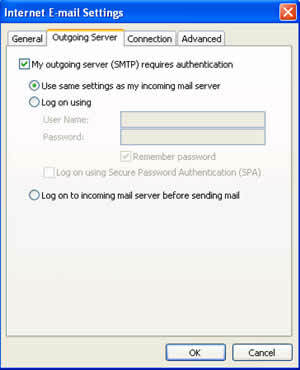 และ ?Outgoing mail server? 5. 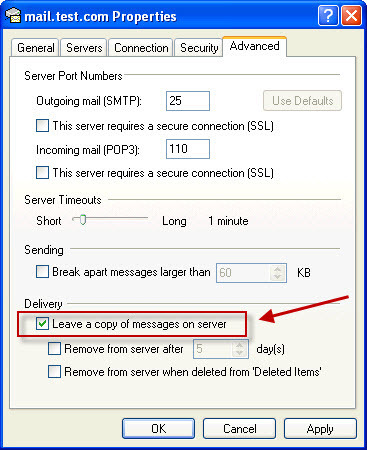 If you want copy your e-mail on hosing or server please choose “Leave a copy of message on server” at “Advance” tab. 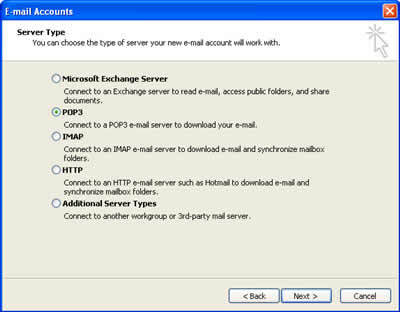 If you don’t set this option all your e-mail is not copy on server but still in outlook on your computer only.